Royal Plastic celebrates this year its thenth anniversary. Because it is such an important birthday, we have launched a collection of limited edition merchandise. 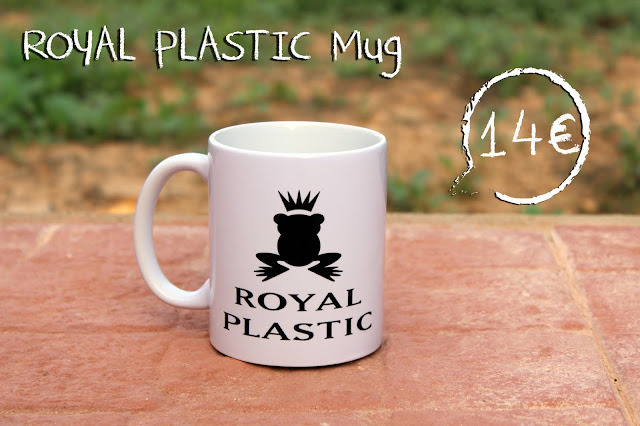 Today we present you the Royal Plastic Mug. We think it is essential to have breakfast accompanied by our frog. So the day will be much more enjoyable. You need it? Buy it here. © 2019 Belmardeluxe for Royal Plastic. Powered by Blogger.